Notting Hill Carnival is becoming a serious safety risk because of overcrowding and violence, according to a report from the London Assembly. The new report says that the carnival has reached a "tipping point" and that changes have to be made. 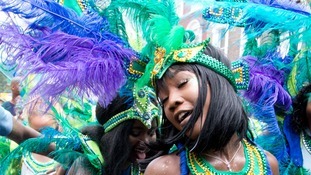 Police reported an increase in serious violence and people being injured with weapons following last year's carnival. Five people were stabbed and more than 450 arrested during the Notting Hill Carnival. 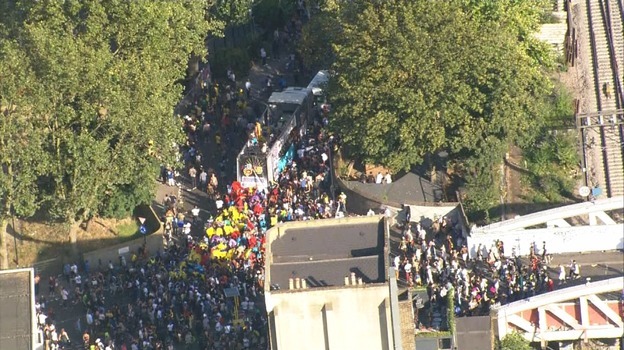 Aerial video footage shot from a helicopter over London has revealed the scale of Notting Hill Carnival - Europe's biggest street festival. Three teenagers have been knifed in five stabbings amid more than 150 arrests Notting Hill Carnival. Canisters of nitrous oxide - more commonly known as 'laughing gas' - and lager have been seized by police at the Notting Hill Carnival. 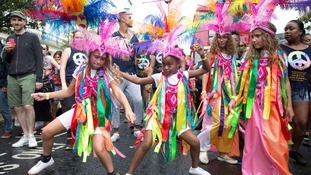 Thousands of revellers flocked to Notting Hill Carnival for family day. Some youngsters joined dancers following the parade floats while others just watched the colourful extravaganza from the sidelines. At least 60 bands will perform and 38 sound systems will be in place over the two-day event. The Carnival, which celebrates Caribbean culture in London, was first held in the 1960s and now attracts visitors from all over the world.